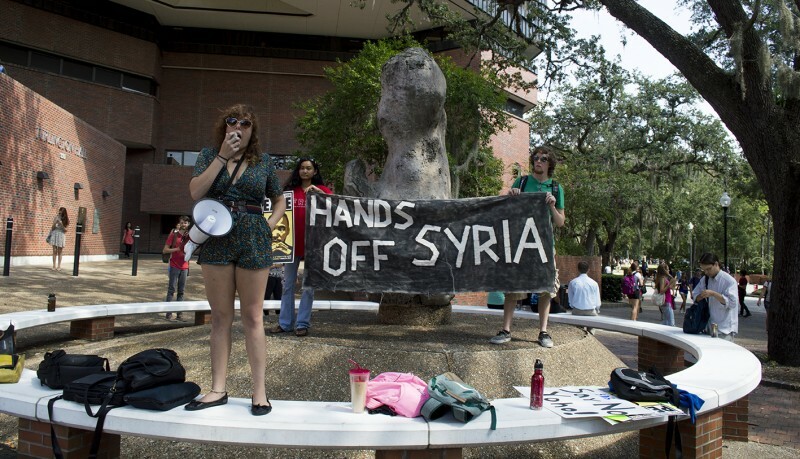 Gainesville SDS: “Congress vote no on U.S. war in Syria!” | Fight Back! 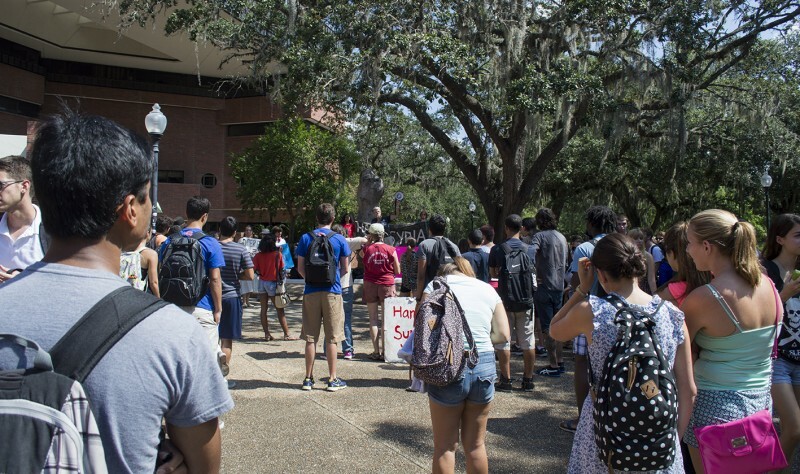 Gainesville, FL – Demanding Congress vote no on U.S. military intervention in Syria, 70 protesters gathered in Turlington Plaza at the University of Florida, Sept. 6. 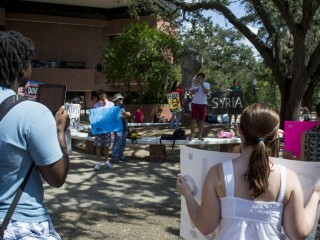 University of Florida Students for a Democratic Society (SDS) organized the protest demanding “Hands off Syria!” Gainesville Vets for Peace, Occupy Gainesville, Freedom Road Socialist Organization and members of University of Florida faculty and other students and community members joined SDS at the protest. The action comes on the heels of local call-in day telling Gainesville House of Representative members Corrine Brown (D) and Ted Yoho (R) to oppose military intervention in Syria and to “Vote no.” Congress is debating President Obama and Secretary of State John Kerry’s calls for war, while U.S. ships sail to the region and prepare for attacks to start the war.